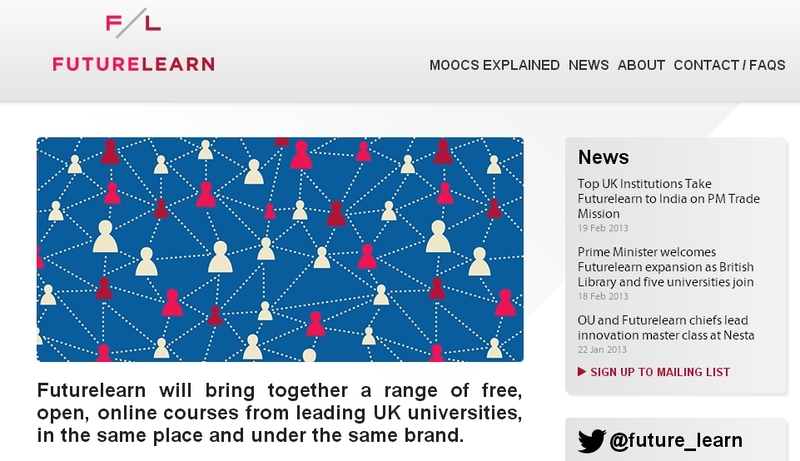 For all of you out there wanting to push your government into setting up a Massive Open Online Course (MOOC) platform gathering knowledge from all your national universities, take a look at the approach of UK’s open university on planning a MOOC platform, it looks very promising. Ever since I was 9 years old I have watched school television on BBC where the Open University UK rolled out wonderfully rich and comprehensible visual content. At age 10 I could understand and speak basic English thanks to them (Dutch being my mother tongue). Now, as in a dream come true I am researching right at the center of that same institution and … even bigger news: they are starting up their own MOOC platform, the so called FutureLearn ! So ok, I am a bit enthusiastic here - read subjective - but after hearing yesterday’s introduction focusing on the pedagogical and design plans of the FutureLearn MOOC platform from Mr UK-MOOC himself – Mike Sharples – I gladly list why I think FutureLearn starts with an advantage and could become a strong contender to the already existing xMOOC platforms out there (EDx, Udacity, Coursera...). Start from ubiquity, mobile design: we live in a mobile age, immigration, brain drain, brain movement, hopping between cities, moving to where the work is … an increasing amount of people are becoming citizens of the world. This mobility is enabled in part by telecommunications, more specifically mobile devices. And all of us are using mobile devices more frequently each day. This is a global movement, as many developing regions are also mainly accessing web content through mobiles. As such, building a platform starting from mobile ubiquity is – to me – the right thing to do. Forget mobile enabled, bring mobile learning at the core of the design, as well as content and learner activity and this will result in more course engagement (more on that tomorrow, will share some of my research on that topic). Engaging the learner for their needs: as many of us are lifelong learners, engaging in learning that fits our knowledge needs is important (and time saving), this is also taken into account in the new platform: short courses (6 – 8 weeks, but can vary), progressive rewards (informal and formal). Put an institute with online pedagogy experience right at the core of the set-up and planning. The only people really knowing what online learning is about, are the open universities world wide. 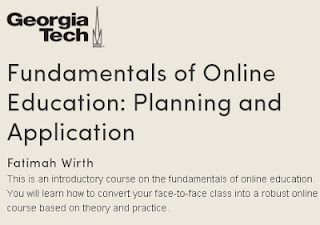 They are best equipped to set up MOOCs using proven practices for online courses. And yes, MOOCs are different from traditional online courses, but they have similarities. And the Open University of the UK is right at the center of FutureLearn. They understand Open Educational Resources, online dynamics, getting learners accustomed with online learning... for them the transition of getting online courses to a qualitative strong MOOC level is within reach. And most importantly (in my view): a platform that meets the learning needs of the participants as mentioned above: tailored, guiding learners through chaos that comes along with MOOCs, multiple devices with which learners will access it…) which inevitably leads to contemporary sound pedagogy. So how does FutureLearn seem to tackle these challenges (remember, I only took notes during the presentation of the platform, so I could be wrong at some point due to my speedy note taking)? Bringing together strong partners: FutureLearn says to partner up with top UK universities (looking at the 30 most highly rated universities – not sure how this works in practice). Strong partners means, proven qualitative content and teaching approaches (admittedly old school teaching). Linking traditional university learning with online learning: this is where the combination of Open University with UK universities comes in. So FutureLearn is rolling out the big guns, building a platform which is embedding educational tools and formats enriching todays educational reality. All of the above is great in theory, and I really belief the approach starting from a strong, contemporary pedagogy is the only way to have a sound base for any learning platform, but … turning this into practice can proof to be quite challenge. For it means that all stakeholders involved must be willing to go through the change. And change management as we all know is the toughest human nut to crack. So will it work? Will the platform be as innovative as planned? Will participants be willing to reinvent their learning? Will the facilitators of these courses be willing to put themselves in the new teacher roles as guides on the side? We will see, but as to date, FutureLearn is said to roll out its first open courses in September 2013, having gone through beta testing by then, so … let’s wait and see! Yesterday Katy Jordan casually send me her blog (Katy is a fellow PhD'r sitting only 7 feet away from me!). It turned out she is working (in her spare time!) 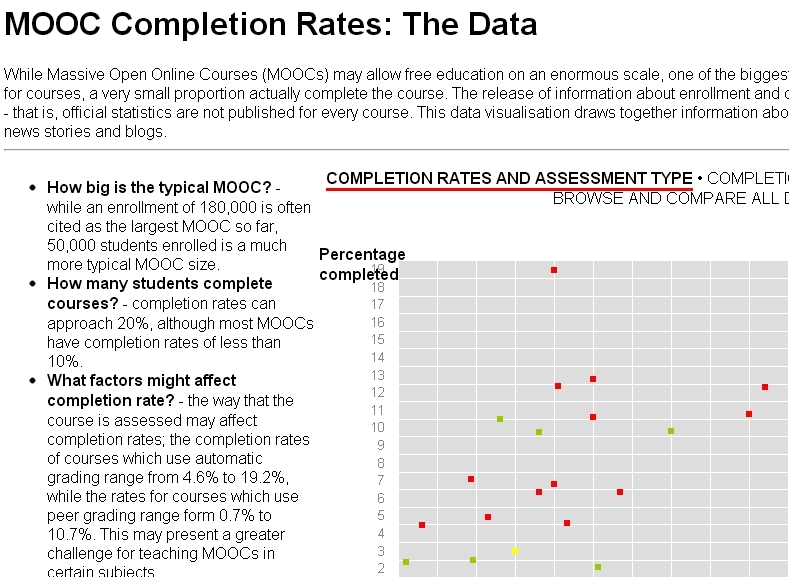 on the completion rates in MOOCs. Looking at xMOOCs by Coursera, EdX mainly, and one course by Udacity and MITx. Katy is clearly an upcoming academic, she is thorough, focused, analytical ... everything you need to make it in the academic world. 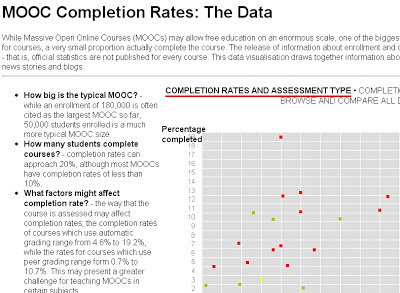 AND she is now focusing on MOOC, the completion rates in combination with the assessment types. The nice thing is, she shares her findings live, so a true open scientist. 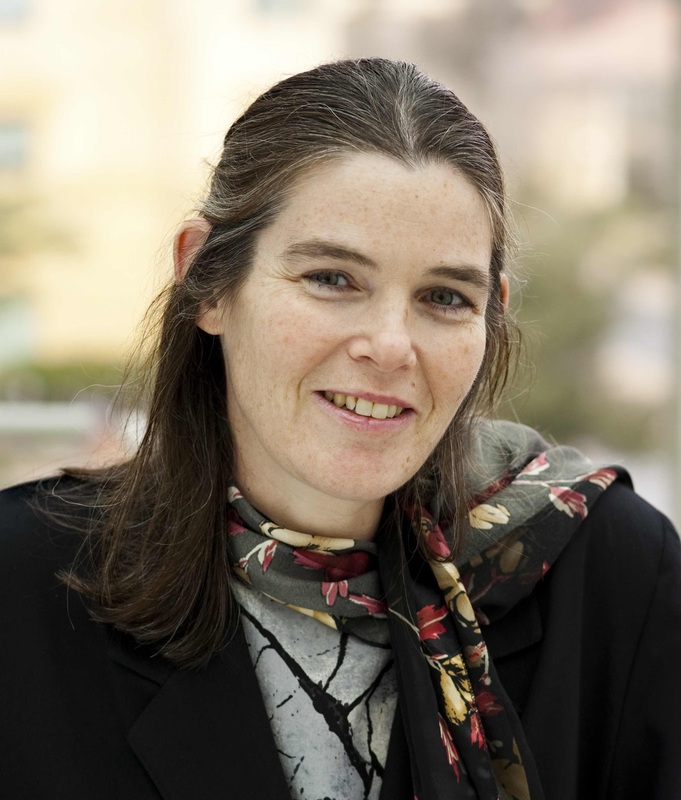 Take a look at her analytics at her MOOC project site here. One of the tough things she is facing is getting the data opened up for her. Getting her hands on learning analytics is not always that easy. There are many reasons for this (she researches for non-US institute, while looking at US xMOOCs so outside the universities providing the courses, privacy issues, platform difficulties, ...). While MOOCs (cMOOCs in particular) came from the open education movement, and with all MOOCs spreading the word that every student, no matter were should be able to follow a MOOC, one would hope true openness of data would be possible. But, there are technical issues only being realized right now, and there is of course a market were business models that still needs to be fine-tuned (if not set up), and best practices need to be created,... tough barriers for emerging (international) research fields. A cross-continental research project would be wonderful, a bit like CERN and the Large Hydran Collidor, universities from the world collaborating for the good of all! As drop-out rates are one of the main MOOC challenges, this research is a gift. For insight in the drop-out rates can provide angles for improvement, increased retention ... So, looking forward to follow Katy's research. And have a look at the wonderful set of papers she has written, including using semantic web technologies... inspiring stuff! To me, I feel that MOOCs are also a way to improve expert learning, so not necessarily linked to assessments and such. It is more about lifelong learning, getting information to enhance personal knowledge for professional reasons. But that ... is another research all together. For at that point, you cannot look at assessments to indicate completion. For the expert MOOCs might have lurkers (= people that do not actively engage in MOOC interactions, but do follow what is going on) that actually have found what they were looking for, learning without interacting, and those lurkers would be part of the learners finishing the course (but how to analyse that?!). 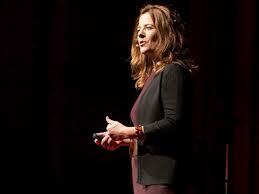 Jay Cross got me onto the Ted video where Daphne Koller (co-founder of Coursera) speaks about the benefits of MOOCs. And yes, great MOOCs follow the best practices of great online learning: active learning, authentic learning, peer-to-peer interactions, peer grading... and Daphne puts everything out there very clear and with research based evidence + MOOC stat examples. 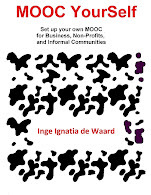 I love MOOCs, I organized two on mobile learning in 2011 and 2012 - the so called MobiMOOC, because I am a firm believer in both education and online, lifelong learning, as well as technology. So inevitably MOOCs have been and are to me a benefit (and please all the discussions on pro and cons only remind me of similar discussions when school television came out, or the internet even... at the beginning it is always the utopians versus the sceptics, but in the end ... the technology is simply adopted because it allows new things to happen). BUT ... there are a few inconsistencies resulting from MOOCs on the promises they seem to provide and were I get stuck. Feel free to give me any possible answer. There are simply things, like access to technology. Yes, MOOCs can reach everyone ... if they are literate in the language of the MOOC and if they have the infrastructure and instruments (= technology, electricity) and time needed. As such people in dire straights will still be in a tough position to even follow a MOOC. But even ignoring this group (for this discussion), there is a potential hick-up that can affect all of us, if society is not changed towards another working model. Most of us in the Web sphere are convinced of the fact that the industrial revolution is behind us, and the knowledge revolution is here. And there are discussions taking place in different fields on how the internet changes everything due to all of the indirect and direct impact it has on all of our lives. So lifelong learning is put into place as a goal (personal responsibility for learning, and linking learning to the promise of success), and knowledge deepening is a goal set forth for all of us. But with knowledge comes the capacity to automate or - with similar effect but in the other option - the realization of increasing profit margins by getting cheaper labor. This means less jobs are needed due to knowledge aiming at the societal model of today. So in a way, the focus of education of today is actually something we (the world) needs less of ... in quantity. Even if all of us MOOC'rs finish the courses, get accredited (if the course offers it) ... even then, there is not enough work for all of us. Success stories emerge from MOOCs, with witnesses indicating how following MOOCs has changed their professional and personal lives (which is true and it makes me enthusiastic)... but this is only a temporary Utopia if we do not change the world towards where we want it to be. And I hope we want the world to head where Daphne was pointing at: getting education to all, and a better life for all of us in all regions. The simple truth is that not all of us get jobs even when graduating from universities, and if MOOCs add to that particular degree market (universities), we are stuck, for indeed if even the one's that graduate now are not always finding jobs, with the declining job market in mind, most of the new wave of graduates will get stuck as well. A knowledge era is a fine thing, it sounds great ... for a minority of people. So how do we (re)find a balance between jobs and people having them? Any ideas are welcomed, and if you want to hear more about MOOCs, feel free to join Jay's hangout on February 27, 9:30 am Pacific time on MOOCs with many of the MOOC actors. Leslie Dodson from the University of Colorado on The mobile utitly gap and literacy challenges in oral-language communities: sms use by Berber women. These are my live blognotes coming from UNESCO's mobile learning week enriched with tweets from Ronda (@glam_mobileleo). Leslie used an epigraphic research approach and working in the field for 8 to 9 months. For those interested in the number of challenges that can be encountered when diving into a mLearning project with very specific target learners... this is it! Berber communities: tribal, traditional, Muslim, conservative, rural, arid and poor. women's livelihoods are tied to the Argan tree (oil production, or as a home lifelyhood). Unseco has designated Morocco's Argan forests. 3 alphabets: Arabic, Latin script, Tifinagh script (Glyph-based, not widely used). If you do not have common devices, it can be very hard to collaboratively learn. There was a lot of struggle with directions to enter letters, some mobiles have capital and small letters which felt like different alphabets to the women. As this day progresses, I was blown of my chair by the passionate drive of Theo van Rensburg Lindzter from the Learning Academy Worldwide on the subject of Millennials as mobile educators: innovative youth workforce development solutions. 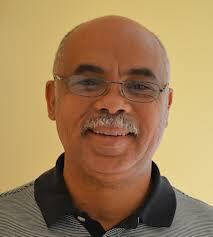 Theo is a driven, engaging, outspoken speaker. He made a REAL point! Here are my live blogging notes and be sure to contact Theo if you really want to engage in a mLearning build solution. In South Africa they realized that there is a real goldmine in young people ready to teach and support other youngsters. We need to finance and solve real problems, and restoring the impact that young people can make. Millenials can be unemployed, non-actives, nags... BUT these young people can be activated, they want to be activated, mobilizing them to be actively involved. But the problem into meaningfulness or what we see as work, is an unmarked field of landmines. That all part of getting into work and meaningfulness is difficult. So how do you know that you are extending the field of landmines? You promise work in a world that is changes. So we cannot create work like we used to create it. When corporates delete jobs, many of them vanish and are not even replaced. So how can you counter the loss of meaning. There is nothing meaningful in work that is repetitive. there is a difference between meaningful work and drudgery. So if we talk about mobile educators, we are not talking about drudgery. He shares that he was doubting why he was out here, paid for its own to come to UNESCO mLearning week.... there are too many mLearning adds, not enough pragmatic foci and outcomes that really change the world. source innovative solutions - sonlig (buying solar chargers to solve basic electricity challenges). The students are hungry, they do not have future options, teachers do not have the necessary support they need. Students are no problems, they initiate something when coming to class. But we must use it for real change. prioritize collaboration and partnership (make students aware of the fact that they are part of a community, of the global world). At the second day of the UNESCO's mLearning week, where Agnes Kukulska-Hulme from the Open University in the UK started the day with a very enlightening presentation bringing together the latest on mLearning pedagogies and focusing on a gender related project. What follows are my live blogging notes, based on the slides shared by Agnes. But I do change the order, starting with the concluding remarks, for I think these are very relevant and as such, reading them first is a good thing. And I will try and get hold of the slides and add a link when possible. informal content and curricula: curricula built up from discovery of learner requirements (what do the learners need, that can then be translated into more formal curricula: enriching them or changing them completely?). confusion around who is guiding learners. As we move into more informal territory, and other people come into play supporting the learner, there is more confusion about who is guiding the learners. In these application the individual and the social happen in a shared space. At the same time these paradoxes push our thinking, we start really thinking more deeply about how learning is taking place, how it is changing. it makes it easier to engage with the world and specifically those who live in it. So what are the typical situations that learners find themselves in? So we need to tailor and look at specific situations. The ability to study how learners are using their mobiles for learning, results in studies with learners, surveying how they use mobile devices for language learning. Looking at the use of mobile devices by immigrants coming from Afghanistan. The immigrant population is making use of their mobile devices in specific ways than the general population: playing games, recording videos and photo's, using mobile banking, posting to social media ... so an overall lively use of mobile devices. This can be used in future mobile learning designs. Maseltov project is a European FP7 project, at this point in time results are starting to come out. The idea of the project is to understand how new mobile technologies can be used for furthering social inclusion. MASELTOV project looks at smartphones with access to a range of tools tailored to their needs, including language apps. The target user groups are people that come into the EU from outside the EU, low education (less 8 years of scholing), speakers of Turkish, Arabic and Spanish. busuu online community: informal language learning community, and get feedback on your learning and progress. The short abstract of the project is shared on the UNESCO website: The specific needs of migrant people, along with those of mobile workers and students, call into question the appropriateness of educational provision which is largely centred on classroom-based teaching and learning. Mobile technologies extend collective knowledge building across formal and informal settings and new models of learning have to be elaborated; however, these bring their own challenges in terms of learner preparedness, available infrastructures, systems of assessment and the changing role of teachers. Furthermore, increasingly smart technologies that can monitor activity patterns and behaviours, and imbue familiar surrounding objects with additional layers of data and meanings, set new cognitive and intellectual challenges. The European MASELTOV research project, which is developing smartphone-based community services for EU immigrants, and in particular for isolated women, is an early example of the next generation of mobile learning, which will combine context-aware technologies with social networks, situated and incidental learning, progress monitoring, and distributed learner support. This research brings to the fore issues of literacy, quality, cost, privacy and trust. Although mobile devices clearly support various forms of mobility, there is more work to be done to ensure that human migration and device-enabled mobility are suitably aligned. While attending UNESCO's mobile learning week in Paris, I will disseminate some of the information that comes up and might be off use. 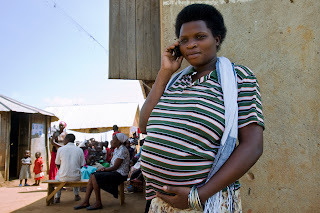 One of the publications linking to mobiles for development are two publications mentioned by Martine Koopman of IICD: Mobile on the Move and a publication focusing on a step-by-step ICT for social innovation publication. The Mobile on the Move one shares some mobile projects from around the world, it is a short 12 page publication ranging from teacher-to-student projects to increasing farmer income via sms. The report can be downloaded for free here. The step-by-step publication focuses on how to get a project going, embedding all the stakeholders and built upon regional needs. A nice, brief overview. That publication can be found here. MOOCs are getting everyone excited. While most of the discussions focus on the impact of MOOCs on Higher Education, the focus of the presentation below will be on the effect of mobile accessibility on learner interactions, as well as overall description of the MobiMOOC case (a MOOC course on mobile learning). The presentation will be shown and discussed during the upcoming UNESCO mobile learning week in Paris, France and a short description of the presentation can be found here. The mLearning week will get a lot of good people together to analyse mobile learning across the globe and see where we can be heading to ensure education for all (or at least increase educational access). If you want to follow what is happening during the mLearning week, you can also follow the #mlw2013 hashtag. There will also be some online webinars that are open to all, so if you cannot make it to Paris, make sure you log on to the webinars (look at the right menubar once the link of the webinar opens for more information). With the Coursera course on the Fundamentals of Online Education: Planning and Application being temporarily shut down due to a mix of unfortunate events (human miscalculation, limitations of technology, chaos...), sceptics of MOOC's feel strengthened. But my heart really goes out to Fatimah Wirth, for she dared to test new approaches but ... fell into the trap that all of us tend to fall into at one time or another: dreaming and as a result wanting to go too far, too quickly. Fatimah, the way I see it you took a blow for all of us explorers. And ... you sure got all of our minds going, including mine. 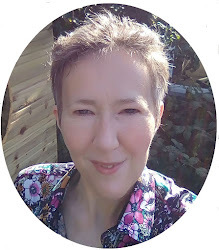 From all the talk on the Web I have read on the subject, I like this blogpost by Debbie Morrison the best, it focuses on the learner, linking it to learning theory and overall needs from a learner. I totally agree with her observation that institutions should stop thinking from what was (classroom teaching, teacher in front...) and focus on how to make optimal use of what is. 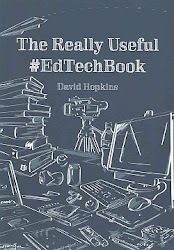 But overall, most of the reflections and issues raised focus on the technological side, while for me it is all about the human side: what do people expect, how do people react to chaos, how do learners interact in order to learn and how can virtual mass chaos come to order again? The learner dynamics are of course crucial in any type of learning, but in a MOOC they become exponentially important. As such group dynamics, mass dynamics, come into place and should indeed be researched in the light of MOOC's. We need to dig into all the factors of learner interactions taking place in MOOC's: motivations, drivers, barriers... of course if technology fails people cannot work together, but the human factor is the reason for technology to be tailored or used. So what is at the basis? Having said that, it is much easier to focus on the technical side because of the much lower complexity. Semantic learning algorithms: like mini google search offerings based on keywords, or field interests that emerge from learner posts. Another option would be to trust the kindness and wisdom of strangers, even if a course design fails... pick it up from there while using what is known by others. Learner-centered also means: trust the learner. So if a certain design or approach does not work: ask for solutions. The teacher IS NOT the expert they used to be, only the wisdom of crowds can be seen as truly ... wise. Asking for help can strengthen all, so an open request for ideas and a transparent gesture of: yes, this was not ideal, but ... let's work together to solve this, would really be a learner-centered approach to get the course on the rails again. This is for instance what MIT did in their Signals and Systems course when taking solutions provided by the students to come up with solutions (tech and non-tech) for the next roll out. One person is no longer enough to organize a course, it should be a team effort, a big team effort, gathering on strengths of multiple people, daring to say that even then everyone needs to learn from one another. And not just the back-end team, it should be multiple instructors. No matter how intelligent the learning platform is built, at the end it is up to the learner to self-regulate and structure all the content that is produced in and comes out of a MOOC. As learners we will have to relearn what can be done to optimize our learning and even then we will not be able to go through all that is exchanged... and to be honest, so what? That does not matter, we do not need to grasp everything, just what is of interest to keep doing a great job, learning what we need. And if you want to try out something new, make it informal first... it is the formal part of the course that got people anxious. Formality puts a much bigger demand on any course: instructions, time, ... Informality keeps it easier to adapt and be creative. Overall trying something new is always a risk, and although all of us know you need to pilot every part of a new approach before implementing it, sometimes we just dive in.... or should I say, I sometimes just dive in... and while that is a good approach, at times that approach fails. But in the end, all the lessons coming from that strengthen you for life. Sandboxes are good to try out new stuff, but at times I just want to do it, warrior style. For years I have been following Jay Cross. He simply has the gift to come up with simple, yet essential knowledge insights that lift me up time after time. Yesterday he shared his 'master deck on informal learning'. It is a treasure of key ideas and at the same time such a great personal time saver, as well as a knowledge/management tailoring device. I can see how such a deck, build with my own set of slides and key pointers would enable me to draw up a meaningful presentation in no time, or I could even tailor a presentation on the go having such a master deck at my back hand draw. It can be used for both face-to-face, as well as virtual presentations, so you could even use it while teaching a subject ... great.